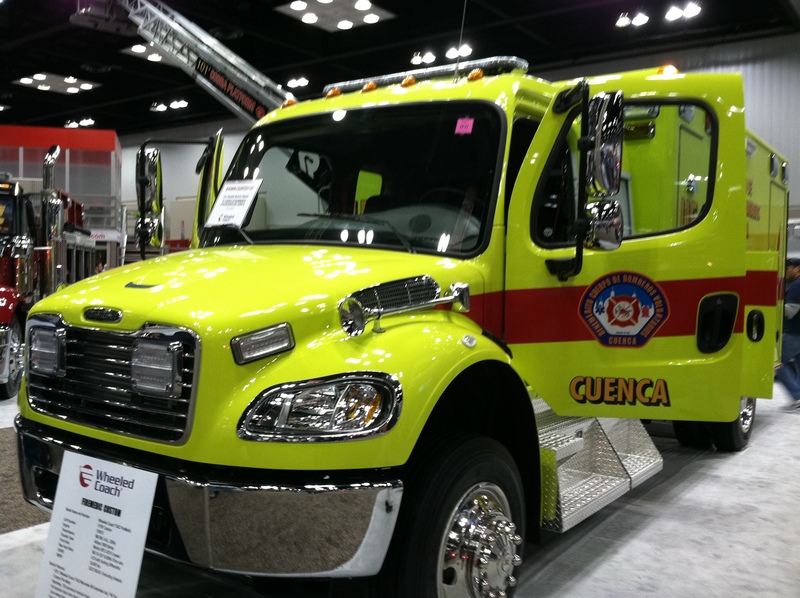 Indianapolis, IN – Today’s schedule included a class on boat operations followed by day 2 of exhibits. As we were walking around today I took notice of the international presence amongst the products. 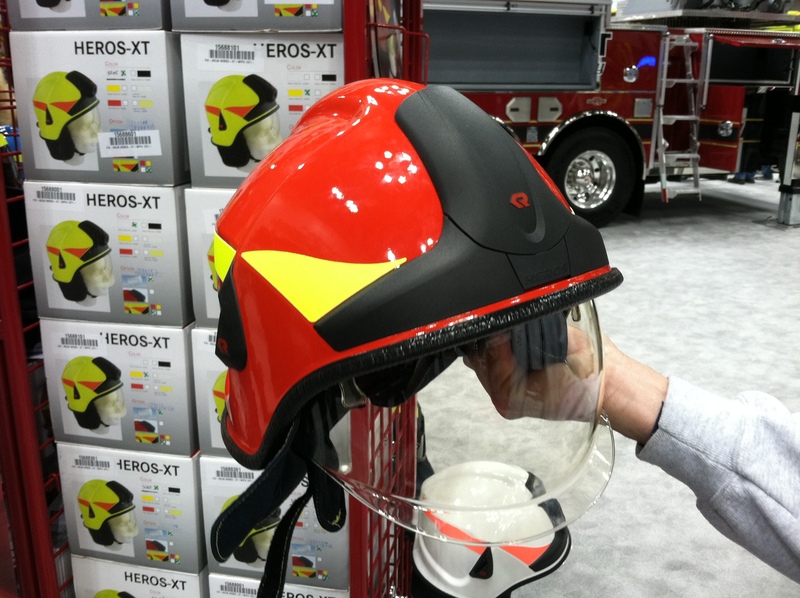 Rosenbauer had a European style fire helmet in their exhibit area. The Heros-XT helmet had two built in shields, one for full face protection and the other for eye protection. Another product of interest came from Canada. The Shutgun was a caulk gun style sprinkler wedge with a built in fusible link. Over in the Wheeled Coach booth on display was a four wheel drive ambulance from Ecuador. 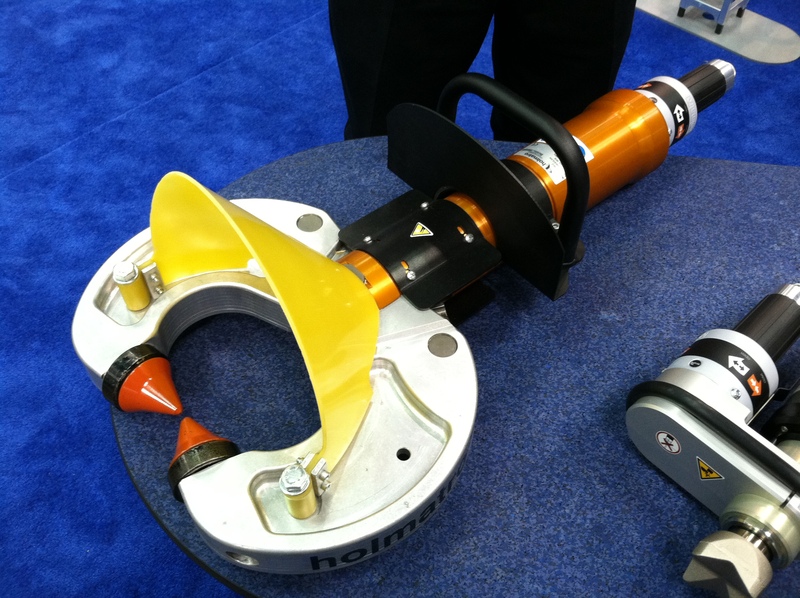 Holmatro rolled out a new tool for breaking concrete and other large debris in structural collapse applications. New technology was also showcased by vendors. The Ipad was found in many applications, such as mobile inspections. 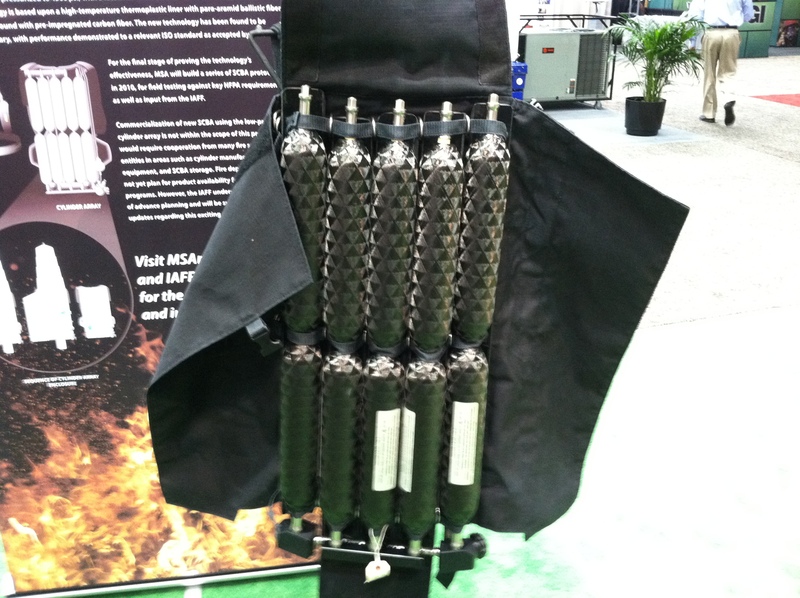 On display in the MSA booth was the flat airpack being tested by the International Association of Firefighters (IAFF) and Mine Safety Applicance (MSA.) This has been a wonderful conference with many learning opportunities both from the classroom and thru the exhibits. Tomorrow we fly back home and I am looking forward to seeing my family ! Everyone take care and be safe !